On Monday, Oct. 21 at 7 pm Susan Swan is discussing her novel The Western Light at the Annette Library. Please note the date of Swan’s talk has been changed to the 21 of October after a death in Swan’s family. The Western Light was nominated for the Evergreen Award as one of the best 2012 books of fiction and non-fiction by the Ontario Library Association. 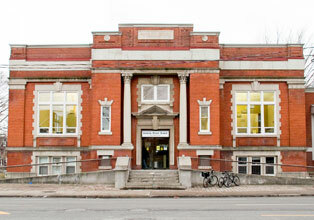 Pam Mountain at the Annette Library has been running an Evergreen Summer Reading Club for adults at her branch of the Toronto Public Library in order to discuss the Evergreen nominations. Two other branches in Pam’s area are also running a book club about the award – Runnymede and Mimico. Swan will talk for 40 – 45 minutes, leaving time for questions and book sales/signing. The branch closes at 8:30 pm. Susan Swan’s newest classic, The Western Light, is a prequel to The Wives of Bath. The story pulls us into the life of young Mouse Bradford, torn between love for her father and the charismatic asylum inmate John Pilkie, an ex Red Wings hockey player, serving a life sentence for the murder of his wife and baby girl. Closest major intersection: Keele and Annette Streets. Branch is located on the southwest corner of Annette Street and Medland Street. TTC #26 Dupont bus from Jane subway station; the bus stops right in front of the library. TTC #26 Dupont bus from St. George subway station; the bus stops directly across the street from the library. TTC #30 Lambton bus from High Park subway, north to Annette Street. Walk east to the library. TTC #40 Junction bus from Dundas West subway, get off at Pacific. Walk south to Annette, then walk east to the library. TTC #89 Weston Road bus or #41 Keele bus from Keele subway station, north on Keele Street to Annette Street. Walk west 2 blocks to Annette Street and Medland Street.